This product is being closed out at record low prices! This white plastic sign holder with adhesive is wall mounted, and can be positioned vertically or horizontally. Frames such as this placard are inexpensive and easy-loading with retaining tabs and a clear, flexible cover sheet for printed messages. 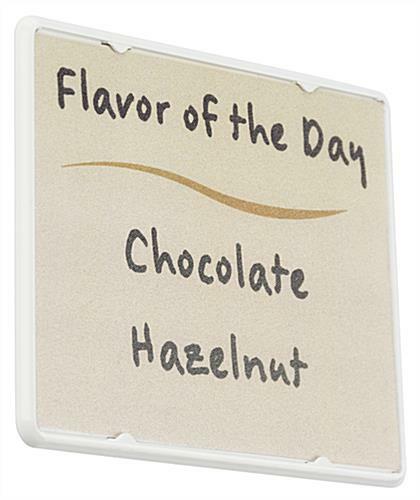 This plastic sign holder with adhesive is sized 6.1" x 4.5" x .125" overall, with a space for A6 media. 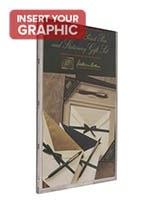 The style of enclosure for printed messages features a simple snap-out design. 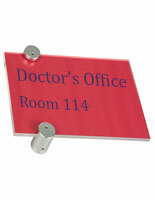 Buy inexpensive signage in bulk for an office building and enjoy an even bigger price break. 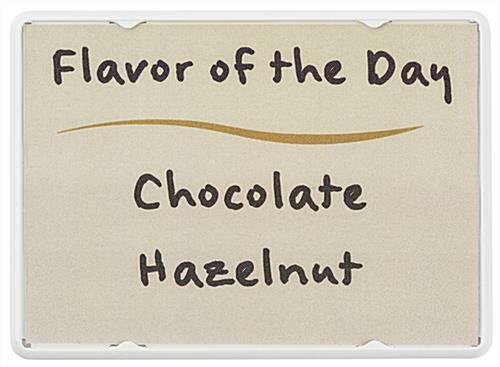 This sign holder with adhesive is a great tool for the display of credentials, logos, and taglines. 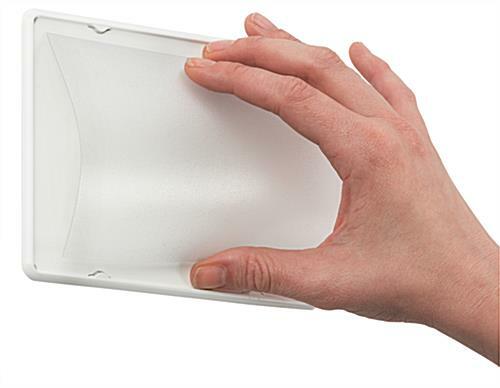 For best results, position framing on a glass or smooth surface, and press the adhesive strips down carefully. No hardware is required for mounting this convenient display. 6.1" x 4.5" x 0.125"